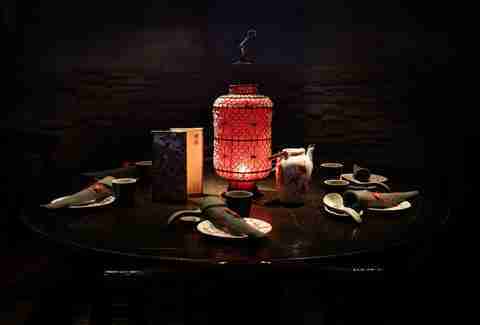 Set on the 33rd floor of the Shard, and mimicking the celebrated Hong Kong original, Hutong boasts a pretty spectacular 360-degree view over the whole of London, with a panorama of every major landmark, except, well, the Shard. 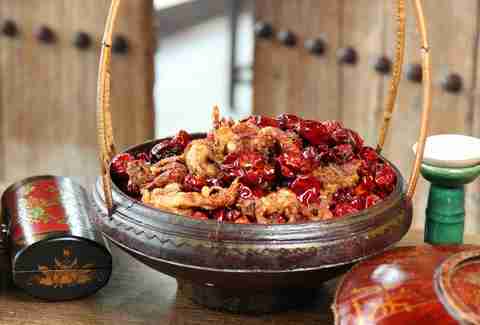 The food is all regional Chinese from the province of Shandong ("noted for its seafood and vinegars"). 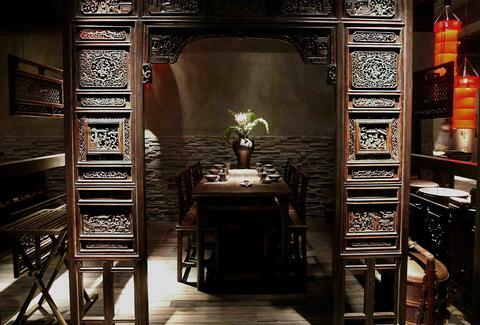 Inside, the place has a temple-like look with ornately carved wooden fittings, and an interior wall made entirely from compressed tea bricks, which hopefully don't have frequent breaks. The menu itself sees unusual numbers like this Red Lantern (crispy soft-shell crab buried in Sichuan chillis) and crispy de-boned lamb ribs (thrice marinated over a 24hr period), alongside classics like their crispy duck, which is roasted in a special duck kitchen (walk in, yell "duck", and watch everyone be confused) and then hand-carved by the chef at your table. 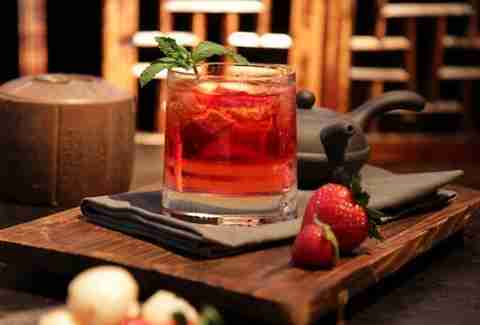 For drinks, the cocktail list has this vodka-fueled Rose Cherry, a Dragon Pearl whose ginger & lemongrass are mixed w/ actual dragon fruit, and a fiery number w/ lychee liquor, Sichuan pepper honey, and a Sichuan pepper rim, named the Comfortably Numb. Wish you were here yet?